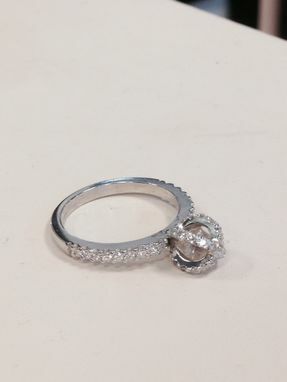 The diamond in the cage ring was designed in platinum consisting of a rough natural diamond caged around a box with pave set round diamonds on top. 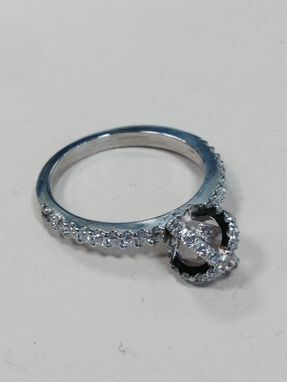 The ring also consists of prong set round diamonds down the side. A beautiful design finished by hand with the customers specific instructions.